Yin Water is similar to a mist, but can also come in a shape of dew, rain, and snow, and just like any form of water, it nurtures life and supports others to grow and reach their full potential. 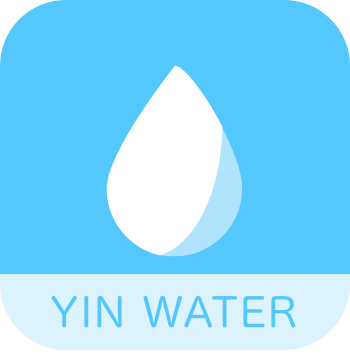 From all the Master Elements, Yin Water is the most Yin, most gentle and soft. Gifted with people skills, individuals under this sign look forward to hearing ideas that are new to them but they could feel much boredom when it comes to project details. Gifted with people skills, individuals under this sign look forward to hearing ideas that are new to them but they could feel much boredom when it comes to project details. Yin Water people are very observant and they can draw conclusions from the things that they see or hear around them. They often keep to themselves but they can be very sensitive to the feelings of other people which may be the reason why they are agitated or angered when facing conflict. Consistency is not one of the things that Yin Water people are good at and this unpredictability lends them a mysterious air. While this is a refreshing quality, others can become fed up with how temperamental these people are. People who are under this sign often end up as storytellers and writers because of their free-flowing thoughts and imagination. While commonly seen as weird by other people because of their ideas, this is actually their secret to success although they also have a tendency to put in a lot of effort to unpractical feats and they end up wasting their time. They have a natural inclination for training the mind and they believe that it’s a mortal sin not to continue learning. Since they love thinking, they have a tendency to think too much making them quite anxious about many things but when they are at their best they can weather through anything. People under the Yin Water sign do not conform to traditional ways and they are constantly looking for unique ways to resolve a problem. Often, they can guide other people to take a different route and it ends well for them but this could also be a bad thing because being different often makes them more eccentric than they already are. Just like the way drizzle can come and go, people under the Yin Water sign find it hard to stick to something that they want. They are constantly looking for things that interest them so they tend to change careers quickly in their search for one that gives them inner peace. They can provide new insights to solve old issues but given the way they change interests quickly, they don’t study each issue in detail. Yin Water people are good in using words to win over an argument and they are successful in this because they know the art of distinction. These are the people who win over debates but their ability to change how others think depends highly on their educational attainment. Given how timid Yin Water behave it’s surprising to know that they would not cower in the face of a challenge. These people are interested in trying out new things so they would never back down when they are dared to do something. Yin Water is strong if born during the autumn months, prosperous if born during the winter. In spring and summer, Yin Water Master Element is usually weak. Metal elements make Yin Water stronger, especially Yin Metal. In featured characteristic, we point out some special issues which are essential to understand and deal with Yin Water people. Yin Water is usually very creative and detailed. They are very idealistic and often base their life choices on those ideals, even if it goes against them. Usually, they are not great leaders due to lack of focus but can be very inspiring. The key asset of Yin Water persons are his or her ideas, and this is where their main strength lies. Like a fog in the air, they can be rather mysterious, but also moody, they can snap unexpectedly like summer showers, so you never know what weather is waiting for you when spending time with Yin Water. In any case, bring an umbrella. Kidney, foot, egg and sperm, blood, sexual energy, and brain. A balanced Yin Water indicates a person with good genes, a sharp mind, and overt sexuality. Excess Yin Water manifests as a heaviness in the body, difficulties walking, and heart and/or blood problems. With deficient Yin Water, you may see lower back pain, poor memory, and decreased libido. Drop by drop as the rain falls. Avoid an excess as the flood waters can destroy. But to all other elements, you can relate. To see the details and analyze the facts. Of all those around, it is a gift that you possess. As the drops of rain outside. Your support can be counted as few can. Bringing essence and life to the earth.